Metro Orlando has a long way to go when it comes to being friendly to people on foot, at least according to a walkability study just completed by George Washington University and Smart Growth America, a pro-neighborhood group. The report looked at the nation’s 30 largest metro areas and ranked them on how walkable they are. Orlando came in last. The top 5 ranked cities, New York City, Washington, D.C., Boston, Chicago and San Francisco, are large, dense and all came of age well before the advent of the automobile. The bottom five, conversely, are growing Sunbelt communities that were built with the car in mind: Las Vegas, Tampa, San Antonio, Phoenix and Orlando. “Transit is a big part of this,” said co-author Michael Rodriguez, director of research at the Center for Real Estate and Urban Analysis at George Washington University and Smart Growth America. The key to walkability, Rodriguez said, is having a place with plenty of shops, restaurants and businesses, as well as the sidewalks and nearby housing so people can get there on foot. 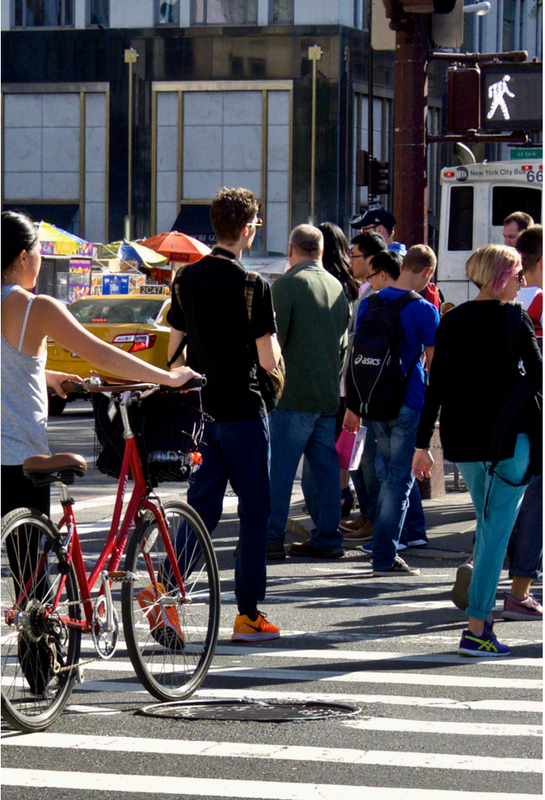 Slower traffic and amenities such as crosswalks are important, too. Unlike the cities ahead of it, Orlando only has three areas that are big enough to be regionally significant draws: downtown Orlando, Thornton Park/Lake Eola and Park Avenue in Winter Park. But all is not lost for Orlando, Rodriguez said. Low-ranked cities can be retrofitted. Metro Orlando’s many far-flung suburbs — characterized by walled-in subdivisions opening onto wide roads with high speed limits — can be improved by adding sidewalks, bike and walking paths and crosswalks, Rodriguez said. Orlando also can continue supporting the migration of people, especially millennials, back to downtowns. That’s a trend, Rodriguez said, that is going on nationwide. Rodriguez’s survey also found that walkable communities not only can charge higher rents for commercial property and apartments, but also are a better deal financially for the people living there. While housing often is cheaper in the suburbs, he said, the transportation costs typically offset the home savings. That’s true in Orlando because a car is almost mandatory for people if they live more than a mile from work. In many ways, Rodriguez said, the cost of living in expensive cities such as New York or Boston is reduced by the fact that people do not have to own a car, doing away with auto payments, fuel and maintenance costs, as well as insurance. Metro Orlando, he said, would do well to push for more walkable communities. View Smart Growth America’s 2016 Foot Traffic Ahead report here.